Falls are the #1 cause of death in construction. In this industry, 364 of 774 deaths are from falling (OSHA, 2010). 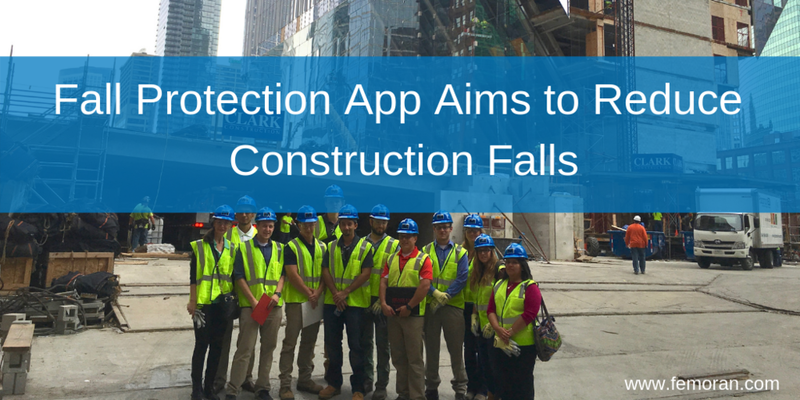 The American Society of Safety Professionals developed an app called ASSP VR Fall Protection Experience. The app is a virtual reality experience that navigates you to a second story roof where you need to identify common fall hazards. The VR experience lasts about 5 minutes. Falls from height are the leading cause of fatalities on construction sites by a long shot, as the account for around 40% of deaths. Fall protection training in the classroom can often fall short, because hearing words and learning definitions about fall prevention may not have the same effect as seeing and interacting with fall prevention techniques. The American Society of Safety Professionals has recently developed an app that uses virtual reality to give construction workers a more interactive experience when learning fall safety. The app, called ASSP VR Fall Protection Experience, follows the ANSI/ASSP Z359 Fall Protection and Fall Restraint standards. Once inside the virtual fall protection experience, users will navigate a two-story roof and will be asked to identify common fall hazards, such as skylights, anchorage strength, and fall clearance. The entire program only lasts around 3 to 5 minutes.